Torquay United manager Kevin Nicholson says striker Waide Fairhurst's return to fitness has given the club a boost. The 26-year-old has missed most of the season after suffering a knee injury in August, but is now back in training. "It may be a bit too soon for him, but he's looked excellent this week. "He's looked like he's not been away and that gives me a lift and it'll lift the players as he'll be like a new signing when he's fully fit and ready to go," Nicholson told BBC Sport. 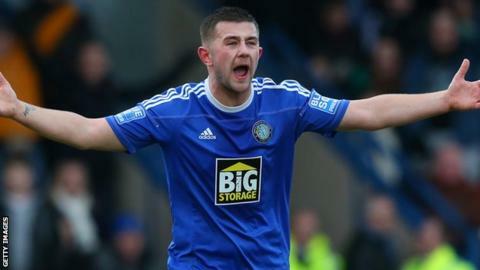 Fairhurst joined the club in the summer after leaving Macclesfield Town, and Nicholson is hopeful he can help the Gulls as they fight to avoid relegation form the National League. "I played against him twice last season when I was at Kidderminster and he was at Macclesfield and he was their best player in both games," added the Torquay boss. "I'm excited to work with him, I'm excited to get him back on that pitch and let him do his thing and he'll only make us better."